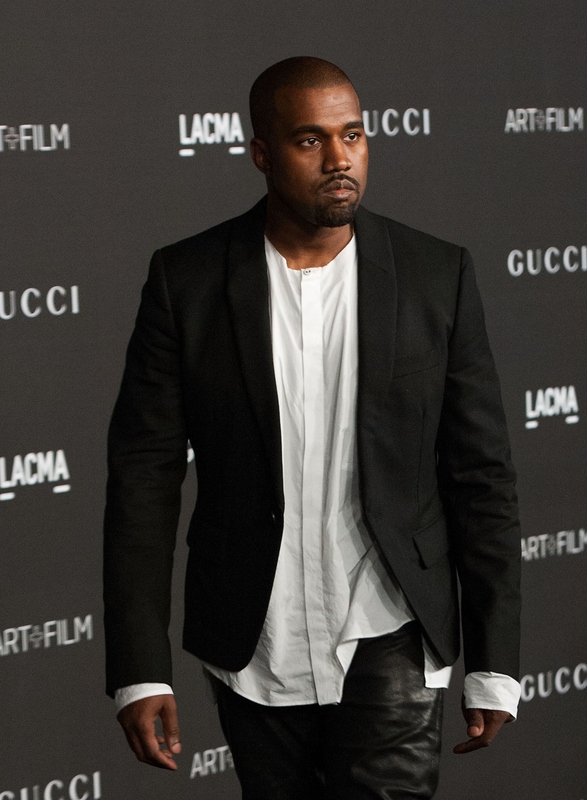 By now, it's no secret that Kanye West doesn't do things the normal way. He says whatever he thinks, storms stages when he's mad, and sends a series of capitalized tweets whenever he's pressured to apologize — and that's only the things he's done in the last few weeks. So it's no surprise that when the musician premiered his new song, "Wolves," he did it in a way that was unlike anyone else — by first singing a piece of it while laying on the floor with blue contacts during SNL 40 , then by playing the full thing during the finale of his Adidas fashion show. Can't imagine Sam Smith or Taylor Swift doing that, can you? Yet despite the tastes fans have gotten of the new song — the first track off West's upcoming album, So Help Me God — "Wolves," featuring Vic Mensa and Sia, hasn't yet been officially released to the public. And, unfortunately, no actual release date has been set; West has said that So Help Me God will drop unannounced, Beyonce-like, and it looks like the same goes for the album's singles. West released "All Day," the first single off the album, unexpectedly on Mar. 2, and so while it's safe to assume that "Wolves" will be next, the actual day that it'll be available for purchase will probably stay unknown. In the meantime, fans will have to be satisfied by listening to the song in its Feb. 12 Adidas fashion show version, which, actually, might be cooler than any "real" release it eventually gets; hearing "Wolves" play as dozens of formidable models stand unmoving in single-file lines, with West himself walking through the crowd to reap in applause? It's hard to imagine a regular release topping that, but then again, this is Kanye West we're talking about — no matter how stunning something is, you can count on the guy to outdo himself time and time again.